2014-09-18/20 (Antwerp) Paul Ricoeur: Thinker of the Margins? Paul Ricoeur: Thinker of the Margins? Ricoeur can be called the philosopher of all dialogues. He engaged virtually all the great movements of thought, entered into debate with scientists, and voices his concerns in the public debate. He never sought to engage in polemics but tried to engage seemingly unbridgeable positions or thinkers in a fruitful dialogue. Ricoeur was not a radical thinker in search of extremes, but rather committed to mediate between conflicting philosophers and streams of thought, therein lies part of his originality and creativity. Where others sees dichotomy, he sees dialectic. In this regard one cannot but note how often Ricoeur uses the word between (entre) in the titles of his articles, always in search of connections, confrontations, and unexpected syntheses between thinkers who have preceded him. He really is a thinker of the between. But does Ricoeur’s ‘dialogical approach’ not result in a harmonization of often diverging positions? Is Ricoeur able to hear the radicalness of certain insights? Is it possible that his hermeneutical philosophy takes away the sharpness of certain problems in current religious, political and philosophical debates? Might it even be the case that he did not hear certain voices, precisely because they resist synthesis? This conference inquires what happens to Ricoeur’s hermeneutical approach if we confront it with its limits. http://www.iaaesthetics.org/plugins/system/jat3/jat3/base-themes/default/images/bullet.gif) 20px 7px no-repeat;">Ricoeur, the Religious Other and Interreligious Dialogue: In the vast collection of his writings Ricoeur only sporadically raised the issue of interreligious dialogue. Though Ricoeur was sensitive to issues of religious diversity, interreligious violence and the encounter between religions, he did not engage into a systematic debate on these issues. However Ricoeur’s hermeneutical philosophy may offer a framework enabling a thorough reflection on the challenges presented by the encounter between religions. http://www.iaaesthetics.org/plugins/system/jat3/jat3/base-themes/default/images/bullet.gif) 20px 7px no-repeat;">Discourse, Normativity and Power : The reason that Ricoeur’s thinking is not often mentioned in the context of feminist, queer and race theory is perhaps his consideration of discourse as a “laboratory of thought experiments”, instead of as excluding and normative. On the other hand, his hermeneutics of suspicion, notions of critique and distanciation, and his ideas about the narrative and ethical self do seem interesting for thinking about alterity and difference. For this session, we invite papers that reflect upon Ricoeur’s notion of discourse, and address the question of normativity and power. http://www.iaaesthetics.org/plugins/system/jat3/jat3/base-themes/default/images/bullet.gif) 20px 7px no-repeat;">Literature, Identity, Politics: Literary fiction plays an important role in Ricoeur’s hermeneutics of subjectivity, especially with regard to his concept of narrative identity, which enables him to synthesize different aspects of personal identity. Ricoeur is less explicit about the relation between literary fiction and politics. This relation entails, however, vital issues, like for instance the role of fiction in the constitution of a political entity, the (legitimizing, critical or anarchic) function of narratives in political discourse, the power dependency (and transformation) of the narrative imagination, the possibility of politic pluralism, etc. In this session, we intend to critically examine the contribution of Ricoeur’s hermeneutics to these issues. The 11th Annual Conference of CASFLAT on “The Literary Theory and Critique of Our Times” concentrates on the relationship of literary theory and critique to the times, society and contemporary living condition. 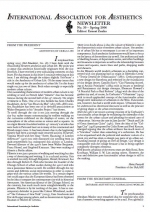 Theme of 2014 is to restate the commitment of relating literary theoretical studies with the presence of contemporary China, in the hope of exploring the ways to rectifying the separation between theories and practices, and the inadequate introductions and interpretations of the foreign and classical literary theories. Springtime in Beijing was, this year, too short. Short and very busy. Some of our good friends visited here, including Ken-ichi Sasaki, Curtis, Carter and Ales Erjavec, and I was very happy to meet them. I will enjoy seeing all of you in between the regular meetings of our Congresses. Recently, I have attended several conferences in China and elsewhere. In early April, I went to Hangzhou for a symposium on the theoretic significance of Chinese ink-wash painting hosted by Pan Gongkai. We had a very good discussion there on the famous West Lake garden, a place traditionally called "Paradise on Earth" in China. Our friends, Curtis Carter, Richard Shusterman and Peng Feng, gave excellent presentations there. We also met other scholars including François Jullien and Cheng Chung-ying. Two topics discussed were especially interesting and deserve mention here: first, the physical brushwork as the traces of human action to signify the feeling and emotion, or states of mind of the painters, and second, the brushwork as the evidence of the painter's character as a morally exemplary human being. These two concepts represent two interrelated ways of thinking about and interpreting Chinese ink-wash painting. A little later in April, I went to Chengdu (The city where many of us met in 2006. I hope you still remember this city where the Executive Committee meeting of IAA voted to approve Beijing as the venue for the 2010 IAA Congress). At this 2014 Chengdu conference, two key concepts attracted the attention of the participants. First, contemporary literary theory and secondly, its trans-cultural travel. "Contemporary" and "contemporarity" are important concepts because people are considering the possibilities to go beyond the post-modern and post-modernism. The introduction of so many different theories into China has contributed to confusion among Chinese scholars. They now wish to return to their own ways of living and artistic practices. Their aim is to find possibilities for focusing on their own practices while continuing to introduce the theories from abroad. Secondly, the matter of the trans-cultural travel of theories is important. During the 20th century, many theories have become influential internationally. Most of them originated from Europe and became internationally influential by way of their reception and development in the USA. Now, as theories travel to China, it is hoped that their reception and development here can become theoretically significant and fruitful in the future as well. 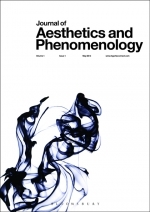 The Journal of Aesthetics and Phenomenology aims to encourage and promote research in aesthetics that draws inspiration from the phenomenological tradition as broadly understood, where “phenomenology” is inclusive of, but goes beyond the limits of, intellectual practices associated with the tradition and its well-known representative thinkers. Unique in the English speaking world, the journal welcomes scholarly articles written in a phenomenological vein as well as analyses of aesthetic phenomena by researchers working on phenomenology within analytic philosophy. The field of the Journal of Aesthetics and Phenomenology is further defined by its close connections with the arts and culture, including the reality of human experience and its environment. Besides philosophical rigor, the journal puts emphasis on both creativity of ideas and precision of language. 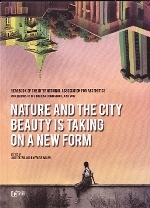 It provides a platform for new innovative ideas crossing the boundaries of both philosophical traditions and traditionally accepted fields of research in aesthetics. Report from the organizing committee. First of all, on behalf of the Organizing Committee, I would like to thank aestheticians across the world: both for your interest in the 19ICA in Krakow and for your involvement in the preparation of the congress. The organization for the Congress is progressing very well.. The stage of accepting abstracts has just ended. We received almost 500 applications from 53 countries: most from the USA, Japan, China and of course Poland. Congress website The Final program of ICA19 is now downloadable! The Eastern Impact. The Enigma of Van Gogh?s challenge to Rembrandt, with Ozaki Akihiro (Tohoku University, Sendai, Japan), Roberto Terrosi and Giuseppe Patella (University of Rome Tor Vergata).